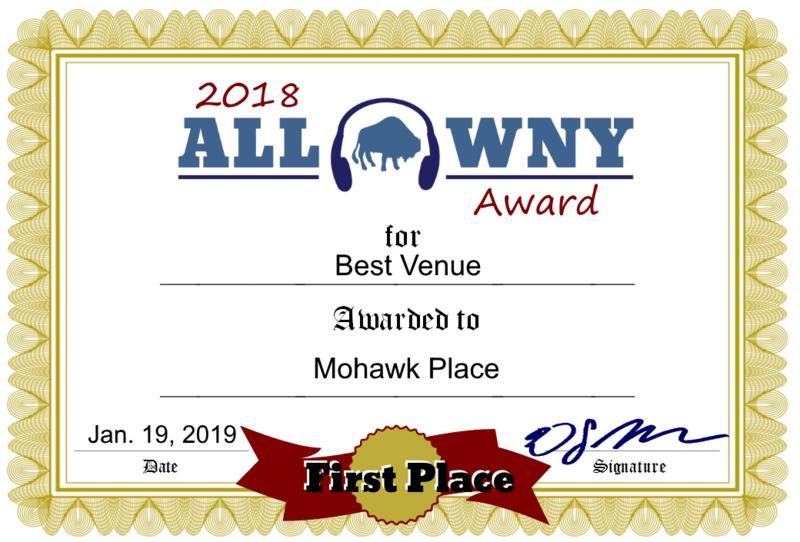 Congratulations to Mohawk Place, winner of the 2018 All WNY Award in the Best Venue category. Honorable mentions go to Buffalo Iron Works, Buffalo Riverworks, Sportsman’s Tavern and Stamps ... The Bar.